Hi! My name is Lindsey. 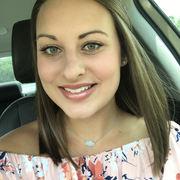 I have been babysitting since I was about 10 years old and have watched children of all ages (newborn-teenage), I have worked in daycares and preschools as well as fulfilling babysitter and nanny positions. I am attending Texas State University and will be graduating in May 2019 with my degree in family and child development. I have my own reliable transportation, along with my first aide and CPR certification.